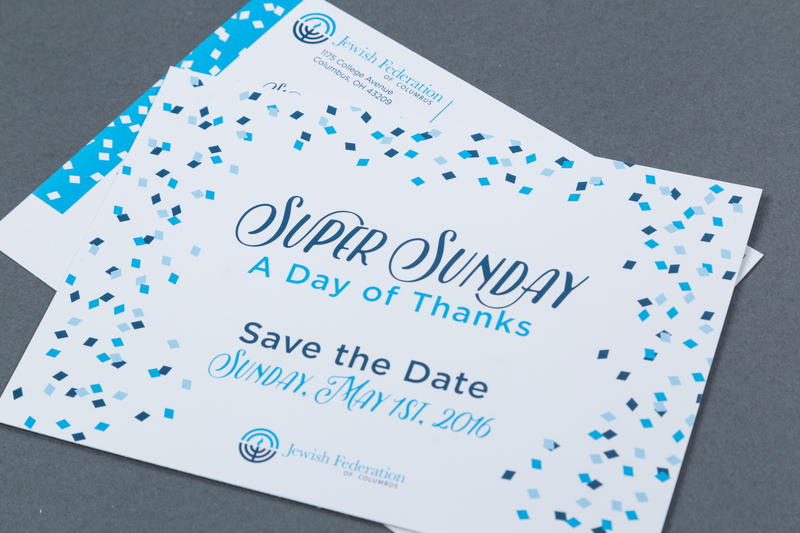 The client was in the process of pivoting the Super Sunday event away from fundraising and into thanking donors from the previous year for their support. The event consisted of a phone bank of volunteers who would contact donors to express appreciation, followed by a concert with Lisa Loeb as a way of thanking the volunteers. 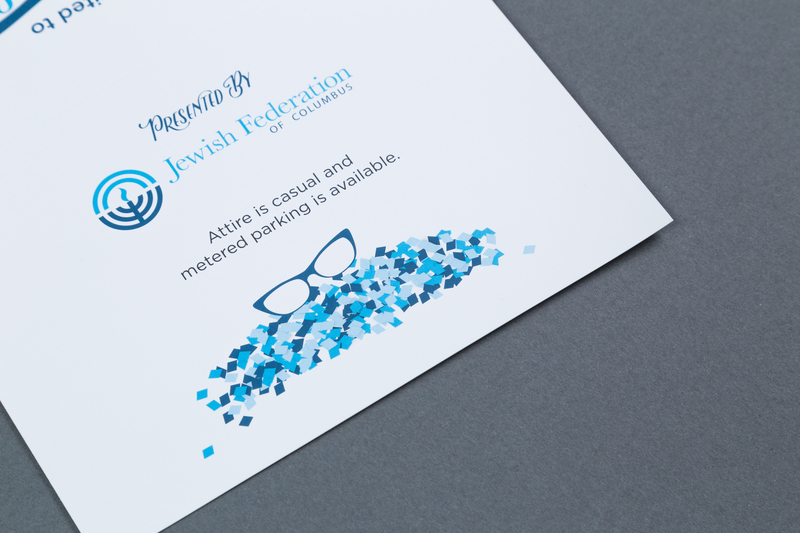 Because the purpose of the event was pivoting while still using the same name (traditionally associated with calls asking for money), the client wanted to emphasize this change in the design. 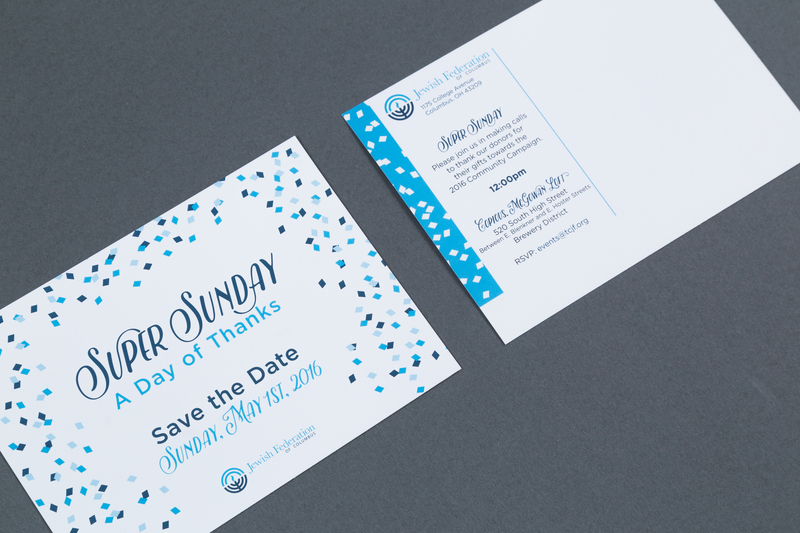 We explored different celebratory imagery before moving forward with a shower of confetti and playful typography in the save the date postcard. 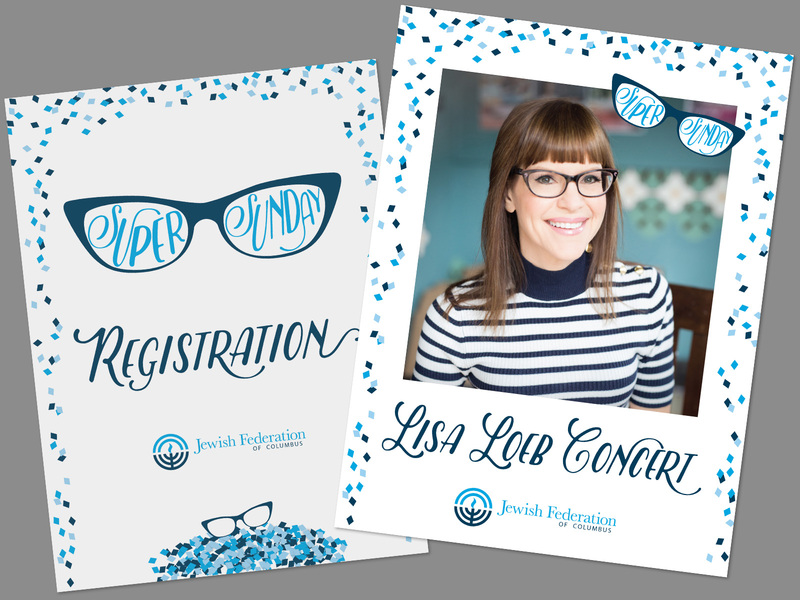 During the event planning process (but after the design of the save the date), the client was able to secure a performance by Lisa Loeb, a 90s pop singer who now focuses on children’s music. 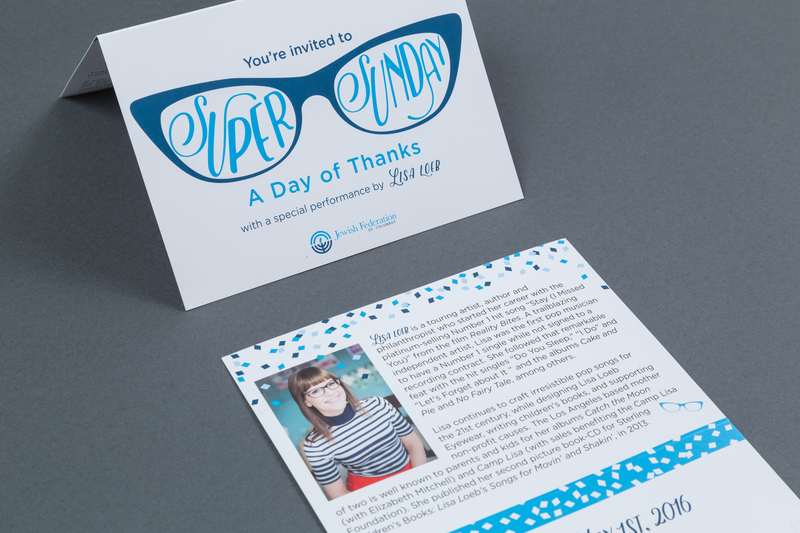 One of Lisa Loeb’s most recognizable features is her cat-eye glasses frames, so I used them as a graphic element in the invitation design. 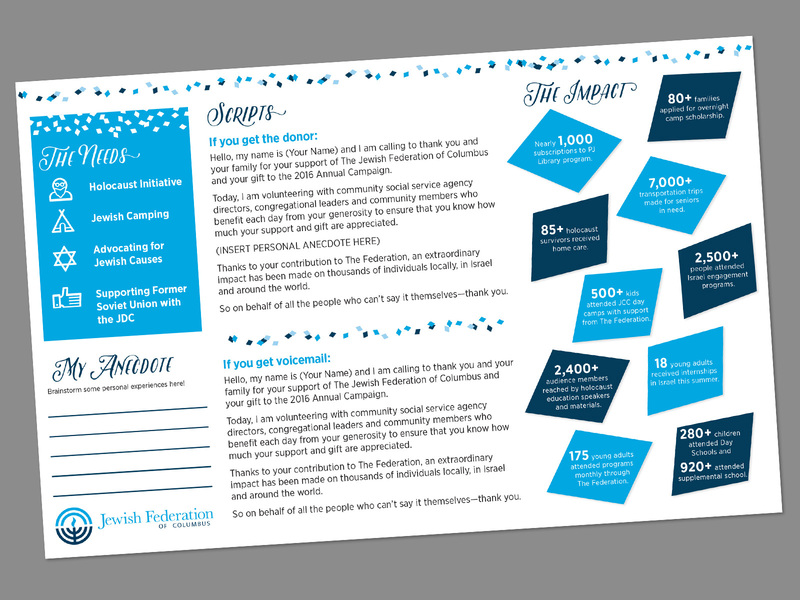 The concert portion of the event was thrown in conjunction with the organization’s children’s group, so I created a flyer promoting the concert to the kids and their parents. 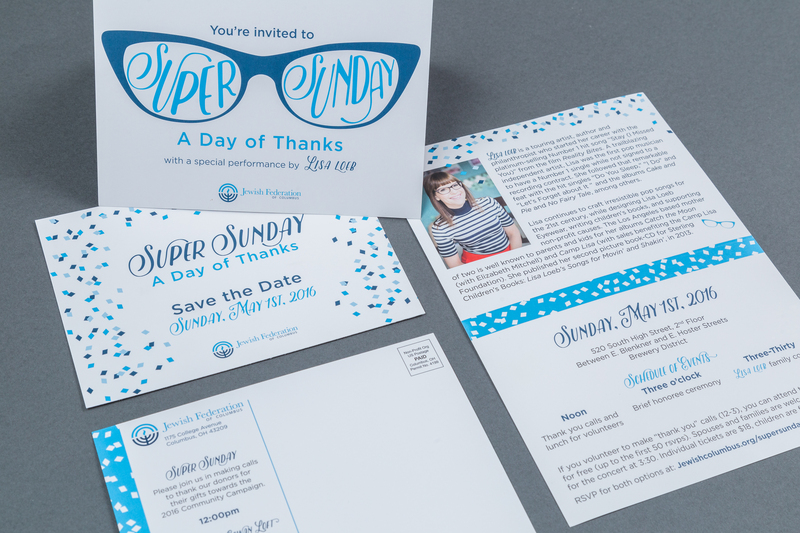 I created a full set of graphics for social media and email outreach to publicize the event. Day-of materials included signage, a branded call sheet, and a placemat for the volunteers that provided them with a script for the calls, some facts on how donations had impacted the community, and space to brainstorm personal details they might want to include in the calls. These items helped create a cohesive experience for the volunteers and provide functionality for the event.